opportunities available and information about our student demographic. Talk to us to discuss your marketing objectives and we can help create bespoke, affordable packages tailored to suit your company needs, helping you reach our students at the right time, with messages and campaigns that will really connect. Contact us today for more information! We can offer a range of advertising opportunities that will be attractive to our student community and help you achieve long term brand loyalty. SOCIAL MEDIA - FROM £150 PER POST BETWEEN 1ST AUG - END OF SEPT The WELCOME FAIR will be held on... WEDNESDAY 18TH SEPT *Stalls in prime position will incur a supplement. Advert on plasma screens for four consecutive weeks. GOODIE BAGS SPONSORSHIP Given out at enrolment and used by students all year round on campus and beyond why not add your logo to the cotton shoppers? Guaranteed to give you maximum exposure… EXCLUSIVE SPONSORSHIP starts at £2000 (B&W logo) for 2500 bags. We can include your advert or samples in the bag from £220. WALLPLANNERS The SU wall planner will be pinned to thousands of students’ walls throughout the academic year. We distribute 2,500 wall planners, most of which are placed in first years’ bedrooms on campus. Advertise your brand alongside key dates and become a recognised brand and make your number the first they call. Advertising space on the wall planner is limited, secure you ad before we sell out! SINGLE £300 DOUBLE £500 Social media posts, from £150 ask for details. ONLINE AND DIGITAL ADVERTISE WITH US and target students 24 HOURS A DAY. Our website has over 32.5k views per month guaranteeing your banner ad will be noticed. SOCIAL MEDIA Connect your brand to thousands of students through our social media channels. Analytics show that our Facebook page is frequently the top performing SU page in the North of the UK. Facebook post unlimited characters, twitter post limited to 280 characters inc spaces. 390k PAGE VIEWS on our web page last year! VENUE HIRE Need a versatile space to set up your pop up shop or market your product? VENUE, a vibrant club space by night, and an ideal retail space during the day, offers you a perfect space to showcase your brand, products or event. We can give you access to our lighting rig and sound system to create atmosphere and provide a fantastic buzz. Hire charge will include shout outs through our social media channels to promote your event. Contact us to discuss your requirements and quote. GIVE IT A GO GUIDE Give It A Go! is rapidly becoming the most recognised brand on campus – eye-catching adverts dominate the TV screens in recreational spaces and faculty buildings, and Social media has daily posts about what’s on, so the brand is continually reinforced, and students keep hold of the guides and refer to them throughout the year . A one page ad (January guide) IS PRICED AT £200 and a DOUBLE PAGE SPREAD IS £350 . If you would like to be our EXCLUSIVE guide sponsor with your logo on the front, ‘sponsored by’ on the back and mentions and adverts to promote your brand throughout the guide (this could include money off coupons or incentives to drive footfall to your website, store or brand) THE COST WOULD BE £1,500. TABLE VINYLS in SU Bar are an opportunity for advertisers looking to deliver stand out campaigns and harness the power of advertising in a highly social environment. Why not give your brand a seat at the table? FLOOR GRAPHICS in the SU Bar or street offer numerous benefits, inexpensive enough to use for short term yet durable enough for long term promo. MARKET RESEARCH We can offer you a versatile space located in our SU Bar to run food and drinks sampling, helping you target a younger audience with whom market researchers often have difficulty engaging with. The SU Bar is an ideal location with a relaxed and pleasant atmosphere, and market research agencies we’ve worked with previously have been really impressed with student participation levels and enthusiasm. 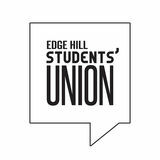 We have over 9k under 25’s enrolled at Edge Hill - why not contact us today to discuss your needs and allow us to introduce you to our students to test your products? SPONSORSHIP OPPORTUNITIES WHY NOT SPONSOR ONE OF OUR ANNUAL EVENTS? Sponsorship puts your brand at the forefront of all SU platforms. It gives you the opportunity to engage a new and loyal audience in an exclusive, exciting way. We are able to create a bespoke sponsorship packages which could include all or some of the following: • TROPHY SPONSORSHIP Your brand on every trophy. • ADVERTISING BOOTH at events. Face to face engagement with a new audience at our after party. • WRISTBAND SPONSORSHIP Visible to all staff and students present at both the awards and after-party. • LOGO on all digital marketing and banners. Your brand will be present on all of our platforms including in high footfall areas. • MENTION ON FACEBOOK event page. A Facebook post solely dedicated to you as a sponsor. • TWITTER AND INSTAGRAM MENTION. Your support will be recognised across all social media platforms. • DIGITAL SCREEN ADVERTISING. One month up to and including the event. student discount and lifestyle card, ForNational just £12,Union students can access exclusive brought to students by the discounts and competitions – saving them of Students. money and enhancing their student For just £12, students can experience. access exclusive discounts and competitions – saving them money and enhancing their student experience. 3500 TOTUM/NUS EXTRA CARDS. We want our students to benefit from the discounts you offer and for the community to benefit from our students shopping locally. We will offer you all of the above for only £100 + vat. However, if you sign up to TOTUM NUS EXTRA LOCAL and give us exclusivity, we can offer this FREE OF CHARGE.